The SoLa SoFia Method discusses wisdom and energy magic beyond traditional Reiki. With Twelve New Reiki Symbols That are Approachable, Powerful and Easy-to-Use. You can find many books that will teach you Traditional Reiki and all of the positions and symbols, etc. This book will teach you something more. 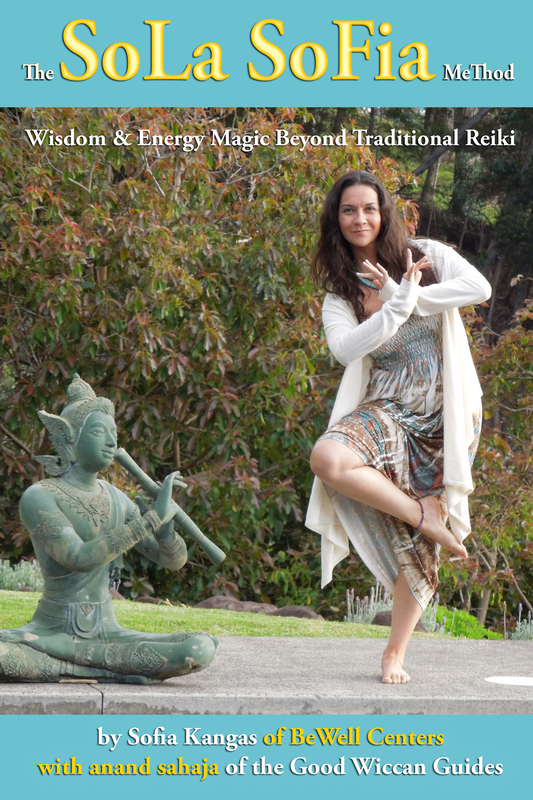 Traditional Reiki tends to lean towards a masculine and dry interpretation. You learn the symbols and invocations. You step up from Level 1 to 2 to 3. It is very regimented in many ways. You need to wait this long before you get your second Attunement. And you need to wait this long to get your “master” training. In some ways it is taught as un-feeling. You do the stuff you are taught and mystically the Reiki energy will work its magic. Which is true. Because it can work that way. But Sofia believes there is more… much more… Her approach balances the traditional masculine Reiki with feminine compassion bringing the polar aspects to balance.